Low back pain is at the top of the list of most common reasons patients seek medical care. Some estimate that over $100 billion is spent treating low back pain every year in the US! Unfortunately, even when the patient resorts to surgical intervention, it’s not a certainty that the problem will be resolved. In fact, many (up to 50%) report continued back pain, even after surgery with the number rising to 70% by 6 months post-surgery. In one study of 208 patients who had spine surgery with fusion for degenerative lumbar spine conditions, 19.7% reported being “partially satisfied” with the outcome and 17.8% reported they were “unsatisfied” with the outcome of their procedure. While patients who had surgery to treat radiculopathy caused by herniated lumbar disk and symptomatic spinal stenosis have a better short term improvement than non-surgical treatment, studies show those benefits do not always last. Patients with postsurgical continued pain (PSCP) seek care from a myriad of providers including surgeons, physicians, and pain specialists. As we have learned from taking a closer look at the origins of the opioid epidemic and prescribing practices, options that do not include long term pain medication are needed. Some may be included as a result of additional surgery. However, the patient then has the same, if not more, risks as the original surgery. Additionally, when 155 patients who were recommended to have additional surgery sought a 2nd opinion, only 44% were still advised to have the additional surgery. While chiropractic is noted as a first line treatment for pain BEFORE surgery is recommended, there is limited documentation about how it can be used for those patients who have had surgery, but continue to experience pain. However, in one study, records from 15 chiropractic physicians were compiled to report on 69 post-surgical patients who received Cox Technic Flexion Distraction (CTFD). Doctors graduated from 8 different chiropractic schools and ranged from 4-49 years of clinical experience. Each had additional training and certification in CFTD. Data included patient reported pain levels at the end of treatment and 2 years after treatment concluded. Patient records show the areas treated ranged from lower thoracic to lumbosacral. If the patient had a spinal fusion, then the spine levels adjacent to the fusion were treated. 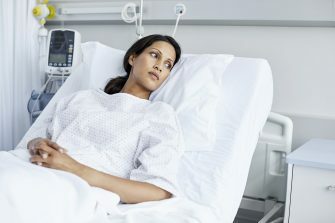 Data collection was typical including the following: Pre-treatment patient information such as demographics, time period of pain recurrence following surgery, factors causing postsurgical pain recurrence, pre-surgical diagnosis, type of spine surgery, and the patient’s pain relief following surgery on a numerical pain scale (NPS) of 0%-100%. The pain scale was repeated at the end of active chiropractic spinal care and again 2 years later. Doctors noted number of treatments, days and any additional care received during the 2 year post-treatment period. The data was then compiled by the lead author of the study, tabulated and analyzed. Disk herniation was the most common pre-surgical diagnosis, followed by stenosis and other conditions. Decompression laminectomy with fusion was the dominant fusion surgery. A total of 26 patients had spinal fusion(s). Most had 1 or 2 levels fused. 1 patient had 5 fusions. Most of the fusions were at L4-L5. All 69 post-surgical patients received active chiropractic care for an average of 11 treatments over a 49-day period. 81% of patients in the study reported greater than 50% improvement in pain levels at the conclusion of their treatment with 8 reporting 100% relief. Only 19% reported less than 50% improvement and 2 did not answer. Disability and back pain have considerable impact on the physical, psychological, and social lives of patients. In an effort to reduce pain, spinal surgeries have multiplied exponentially. Surgical lumbar decompression in older patients is accompanied by a 24% reoperation rate. It is reported that there has been a 20-fold increase in lumbar surgical fusion rates among Medicare enrollees. While lumbar cage fusion rates increased from 3.6% in 1996 to 58% in 2001, there has not been a corresponding improvement in disability or reoperation rates. And the complication risk has actually increased in that time. One study of 600 patients who had low back surgery revealed that 71% did not return to work 4 years later. The same study showed that among 400 individuals who had multiple back surgeries, 95% had still not returned to work 4 years later. These statistics show that for those who do have surgery, better treatment alternatives are needed. Numerous studies have shown chiropractic is effective treatment to prevent spinal surgery. Researchers hypothesized that the post-surgical patient who is continuing to experience pain is 3 times more likely to seek chiropractic care than the average citizen. This may be a result of their estimate that roughly 70% of patients who have had discectomy still complain of low back pain 4-17 years post-surgery and more than 33% are still under active treatment for pain. Previous studies have shown that when CTFD is performed, benefits include decreased intradiscal pressure; intervertebral disk foraminal area increase; increased intervertebral disk space height; and physiological range of motion of the facet joint. This study has some limitations. Because it was retrospective, there was no control or placebo group. Patients may have received other clinical treatment, such as electrical stimulation, acupuncture, massage, or other nonsurgical care, along with CTFD. Some information was missing and a few subjects were not available or failed to answer for the 2 year follow-up. However, the 70% rate of sustained pain relief shows that chiropractic care is a valid option for many post-surgical patients. If you or a loved one are considering spinal surgery, or have already had a surgery but are still having pain, schedule an appointment with your local chiropractor for a consultation and evaluation. You may find the pain relief you need without the high risk of pain medications or surgery. If you do have to have surgery, chiropractic care, before and after the procedure, may still help you have a better outcome. If you do not have a chiropractor, you can find a TCA member doctor here. REFERENCE: “Chiropractic Distraction Spinal Manipulation on Postsurgical Continued Low Back and Radicular Pain Patients: A Retrospective Case Series” by Maruti R. Gudavalli, PhD, Kurt Olding, DC, George Joachim, DC, and James M. Cox, DC,⁎ Published in Journal of Chiropractic Medicine 2016 Jun; 15(2): 121–128.